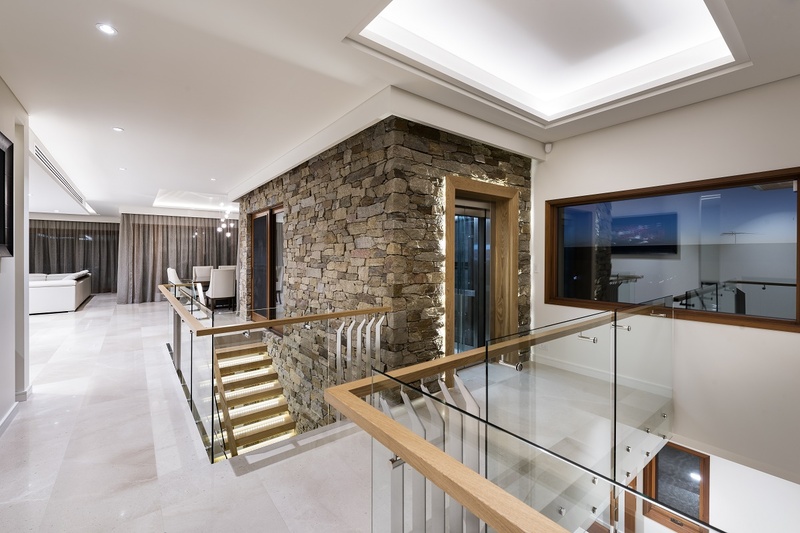 Director, Rob Spadaccini from Spadaccini Homes described this luxurious new home at Watermans Bay as a ‘Modern Classic’ and it seems he’s not the only one with that opinion. 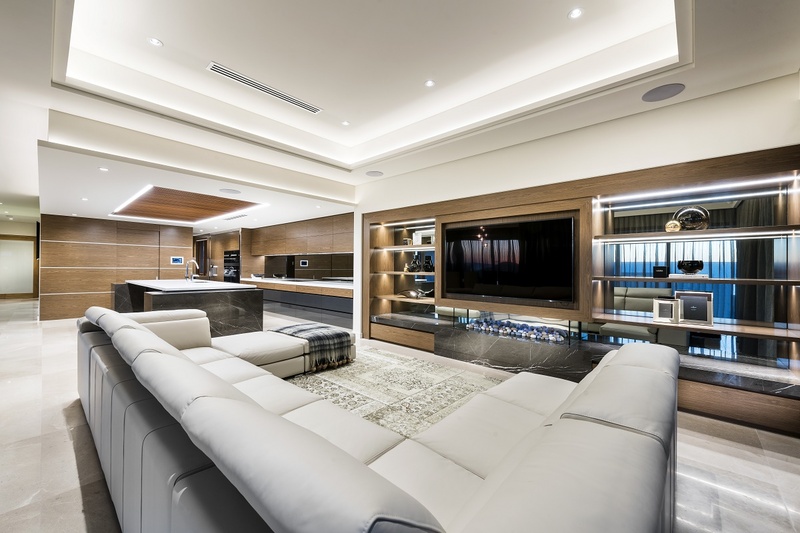 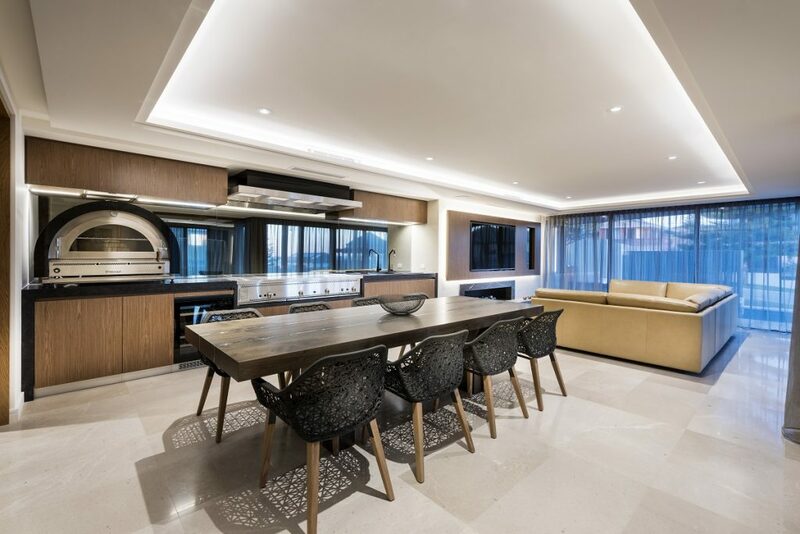 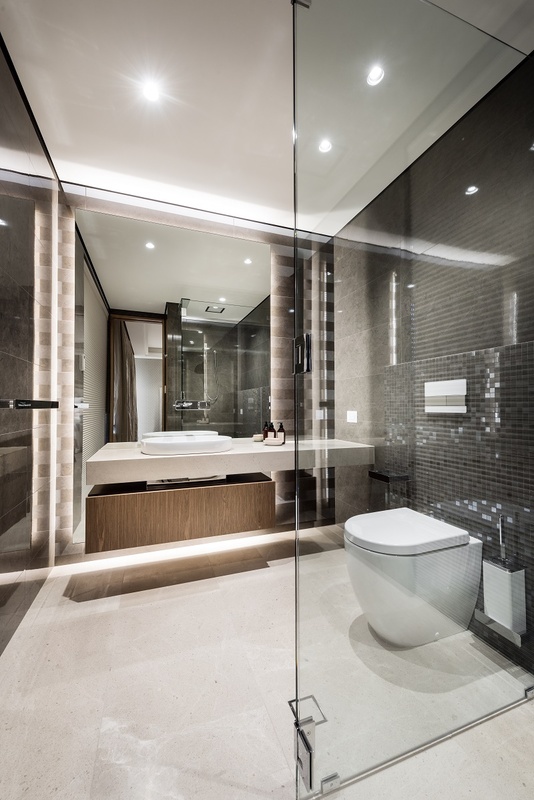 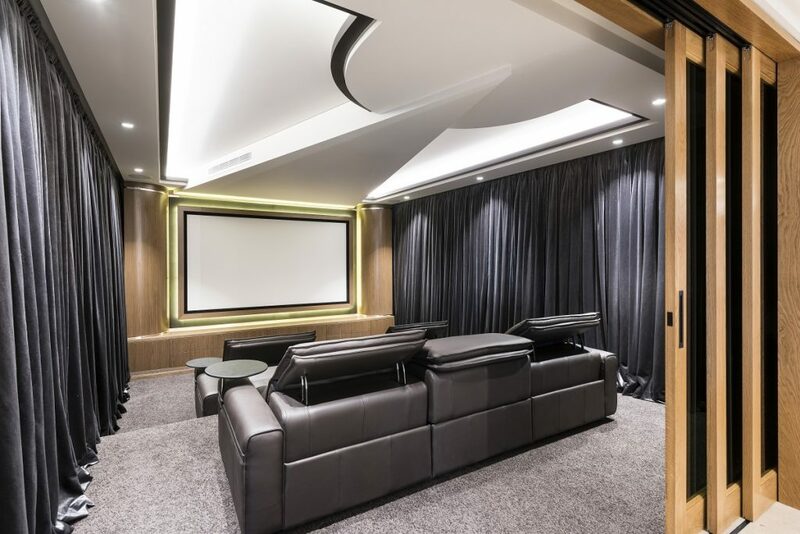 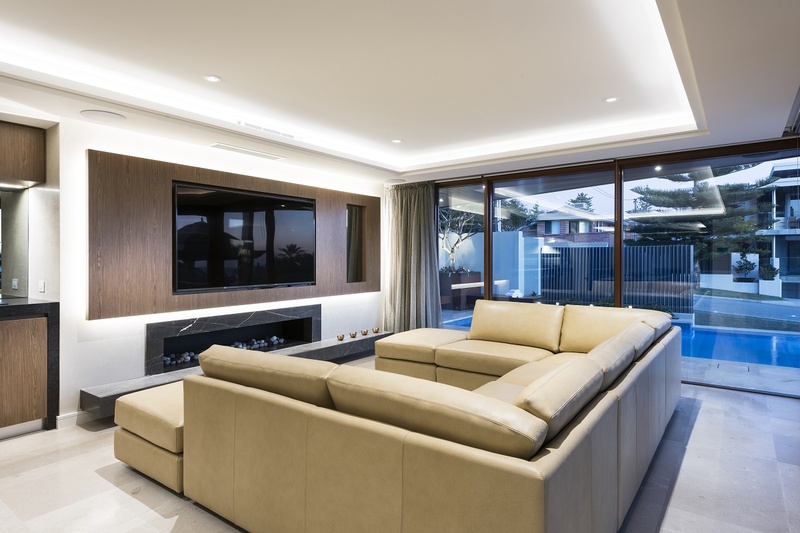 Judged by his peers it was awarded Best Custom Home in its category $1.6 – $2.6 million at the 2016 West Australian HIA Awards and in viewing this incredible home it’s easy to understand why. 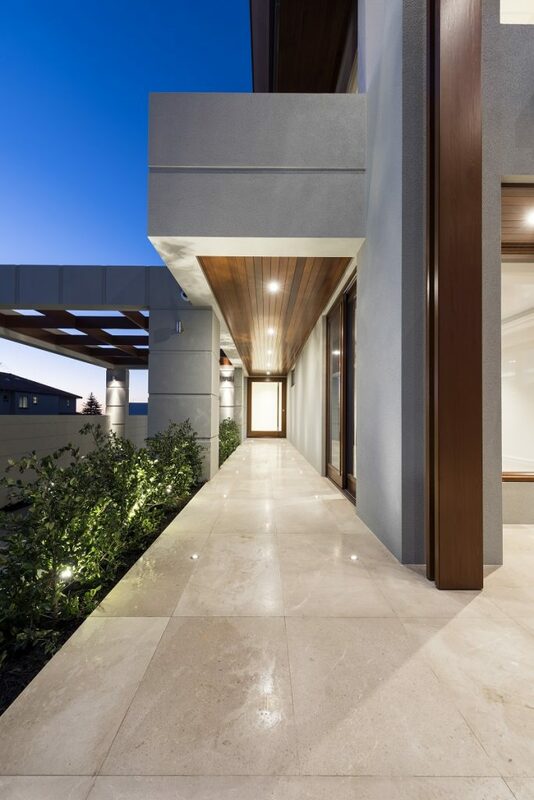 Entering the home through a covered portico beside a grand, gated driveway, looking at the external finishes, it’s easy to imagine the luxury that lies inside. 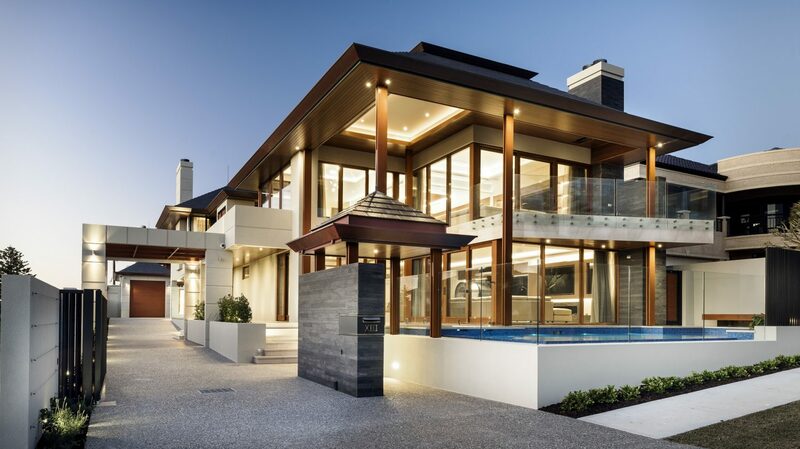 Cedar lined eaves, under-lit for a warm glow, slat roof tiles imported from Europe, copper guttering and a sparkling mosaic tiled pool combine to give you a feeling as though you’re entering a luxury resort rather than a suburban Perth home. 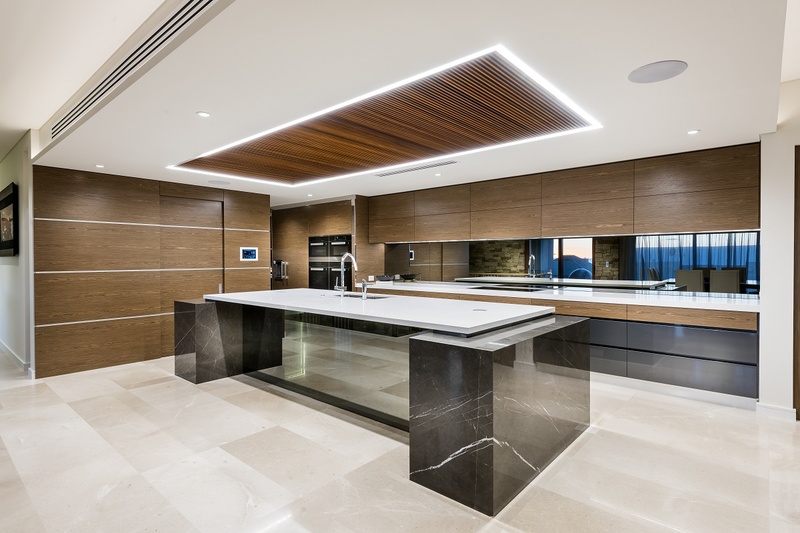 Internally the home has been finished to the exacting standards that have built Spadaccini Home’s reputation as one of WA’s most prestigious luxury home builders. Throughout this exceptional 620sqm home the sophisticated neutral palette is a blend of luxurious natural materials that include heated marble flooring throughout and a stunning feature stone wall that houses the elevator shaft for the glass lift and a spectacular LED lit cantilevered staircase that reflects on the marble base like art. The sleek and sophisticated designer kitchen, complete with scullery are situated with the main living and dining areas on the upper floor. Beautifully crafted custom cabinetry features throughout the home and smoked glass splash backs have been installed to reflect the ocean views on the western side. 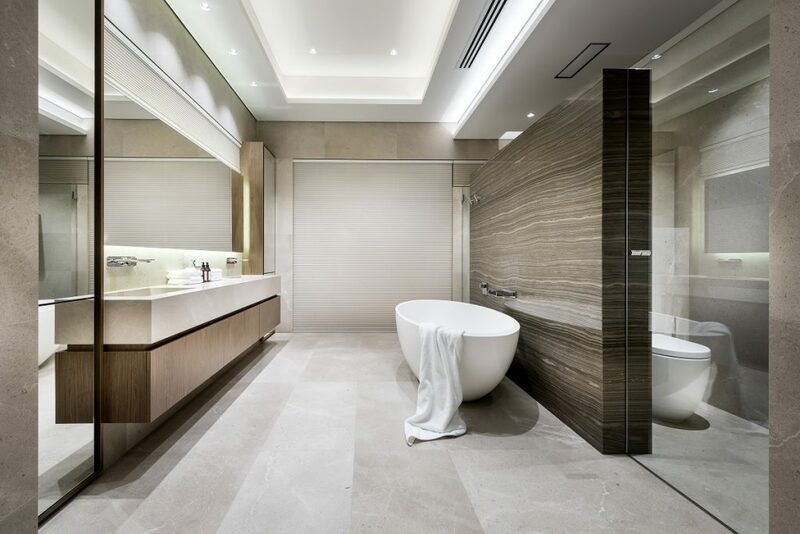 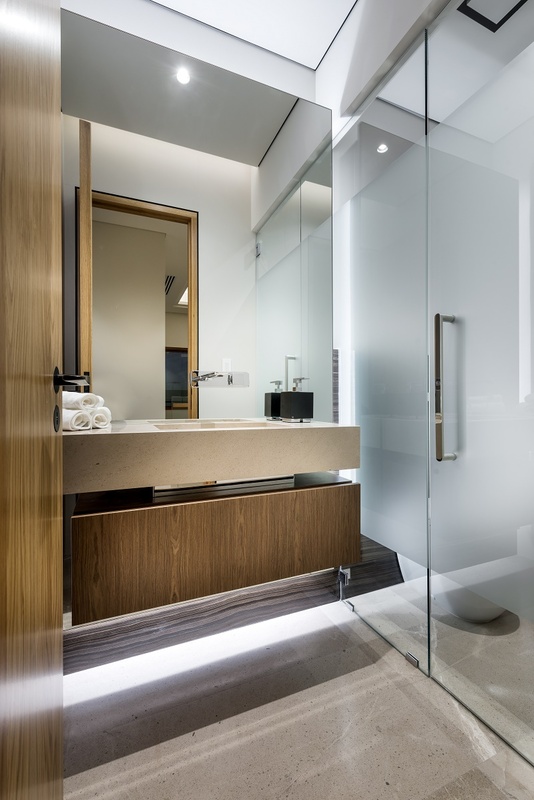 Each of the five generously sized bedrooms, include their own ensuite, with a to- die-for master suite that leads through the luxurious bathroom to a tranquil Zen garden with river stones and water feature, just one of several water features that surround the home. 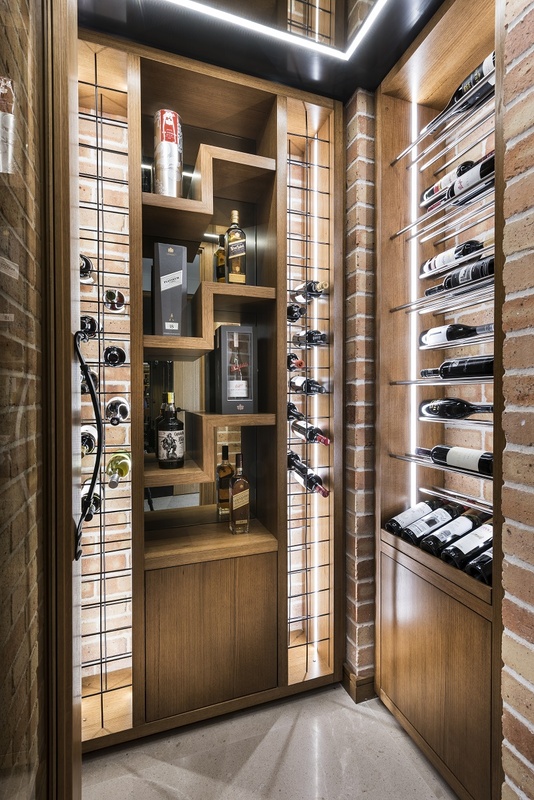 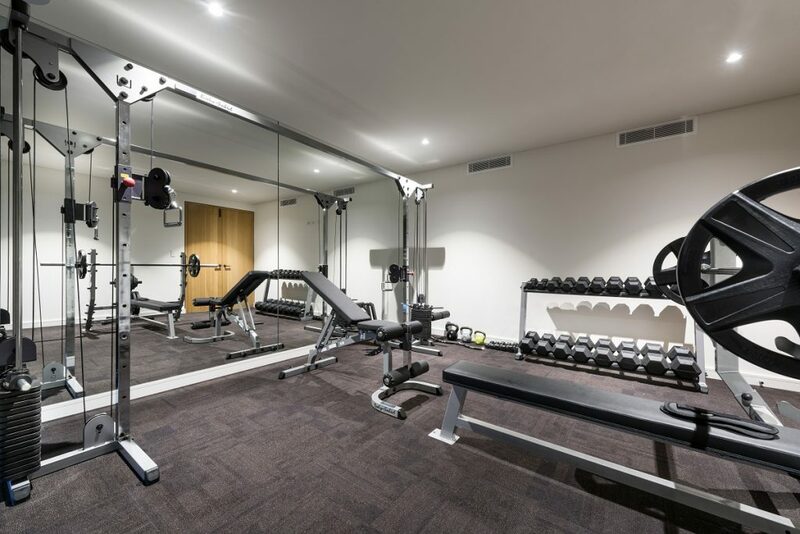 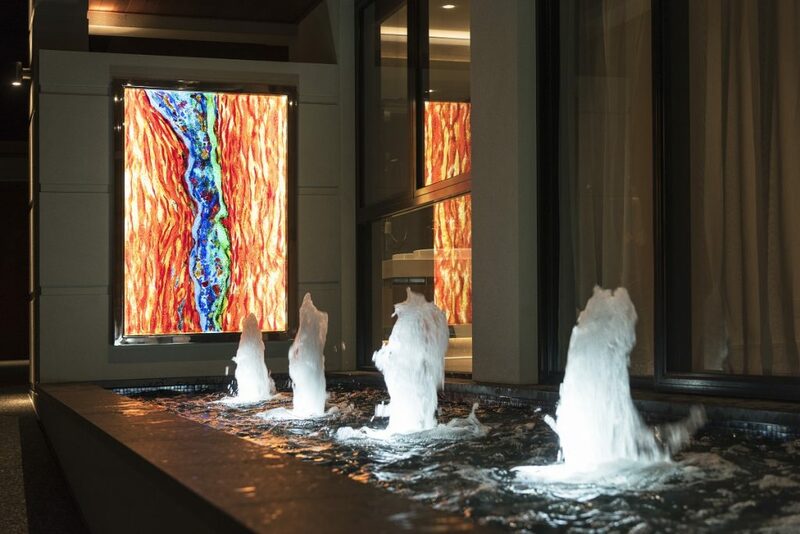 With every luxury appointment you’d imagine, the home also includes a gym, alfresco area – complete with commercial grade barbeque and pizza oven, a cellar and a home theatre that would rival those of Hollywood Directors. 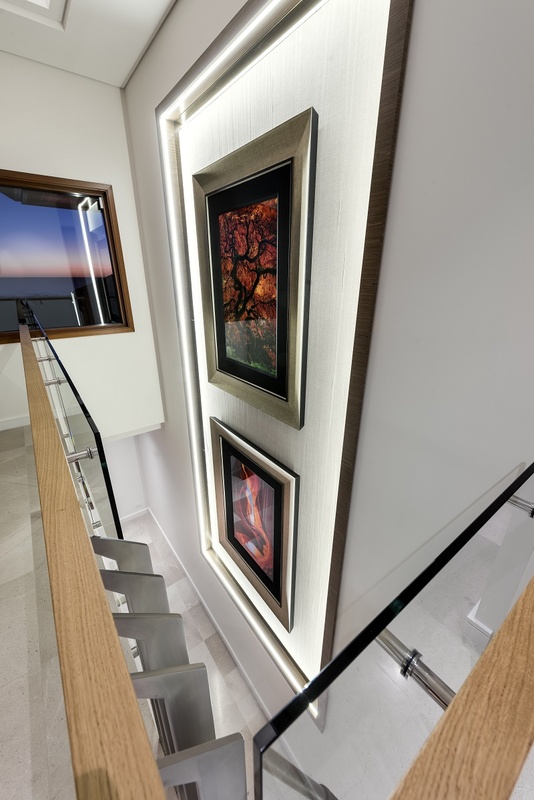 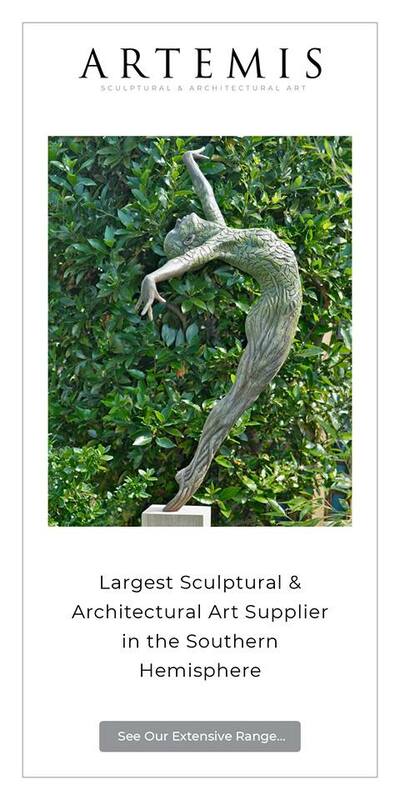 Wherever you look the craftsmanship and exquisite attention to detail that was recognised by judges is clearly evident. 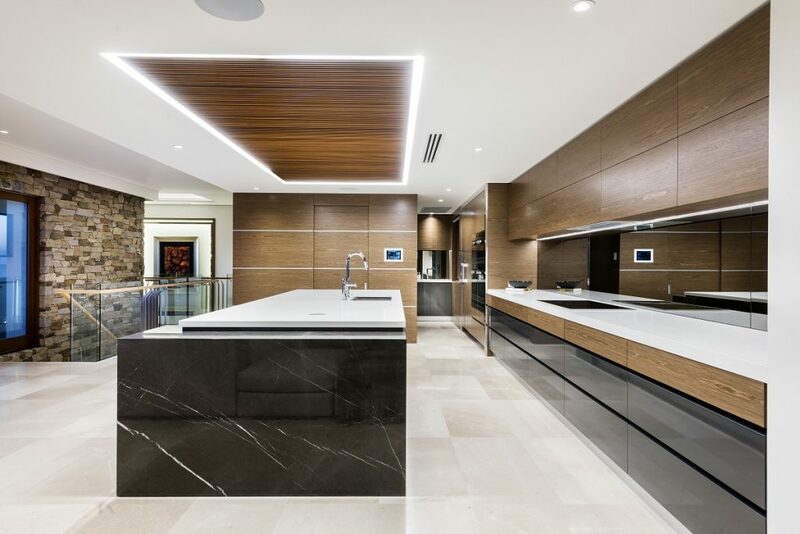 Most importantly, despite its generous size and luxurious finishes the home has an inviting warmth that embodies WA coastal living, and is reflective of the time and care that has been given to the construction of this beautiful home. 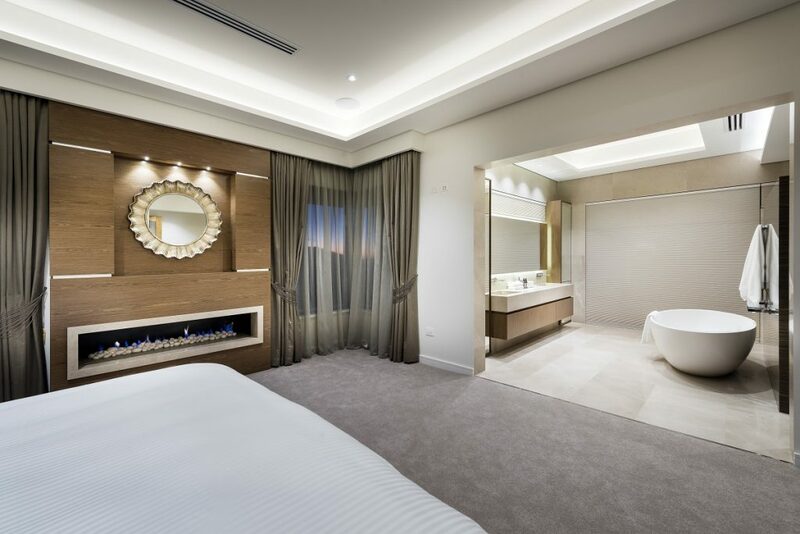 This luxury Perth Custom Home was featured in our 2017 edition of WA Custom Homes. 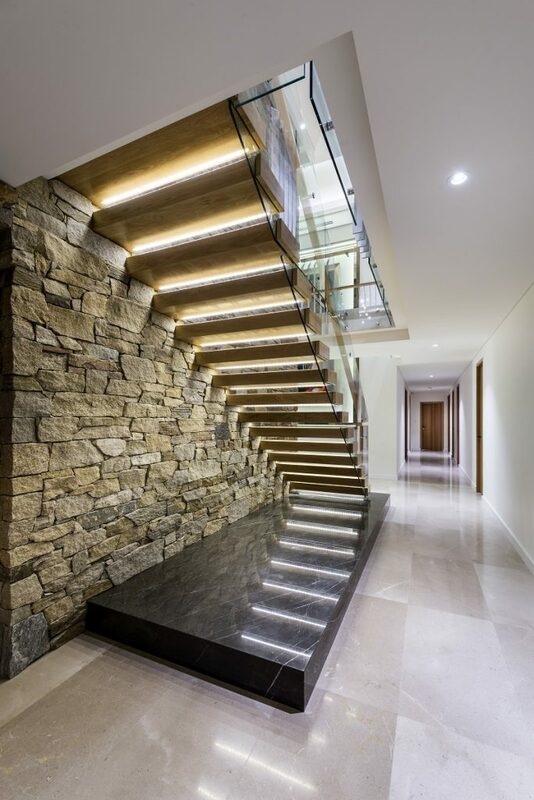 See more beautiful custom homes from Perth Custom Home Builder Spadaccini Homes.